In Olympic basketball tournaments, 12 teams take part. The host nation (Greece in 2004) automatically receives a berth in the tournament. By winning the two World Championship tournaments in 2002, Yugoslavia, now named Serbia and Montenegro, also put a team into the men's tournament and the United States a team in the women's tournament. The remaining 10 spots in each tournament were allocated by the five Olympic zones. Each of these zones held its own tournaments to select its entries in the Olympic tournament. Africa was allocated one spot in each of these, Oceania was allocated two apiece, and Europe was allocated three. Furthermore, the Americas were allocated three teams for the men's tournament and just one in the women's tournament, whereas Asia was allocated just one in the men's tournament and three in the women's tournament. A National Olympic Committee (NOC) may enter just one men's team with 12 players, and just one women's team with 12 players in the regional tournaments. The reigning world champions and the host country qualify automatically, as do the winners of the five continental championships, plus the runner-up and third place teams from the Americas and Europe competitions, and the runner-up Oceania in the men's tournament. For the women's tournament, the extra teams consisted of the runner-up and third place teams from Asia and Europe, and the runner-up from Oceania. From the eliminated teams at the quarterfinals, the loser from A1 vs. B4 competes against the loser from B1 vs. A4 for 7th place in an additional match. The remaining two loser teams compete for 5th place in an additional match. The men's event involved twelve teams split equally into two groups. The women's event involved 12 teams split in two groups. 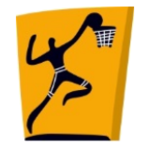 2004 Olympic Games: Tournament for Men, FIBA Archive. Retrieved June 20, 2011. 2004 Olympic Games: Tournament for Women, FIBA Archive. Retrieved June 20, 2011.